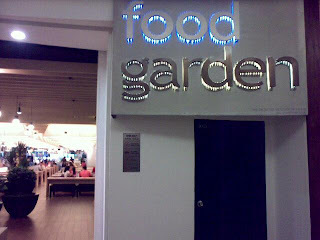 Hubby and I decided to try out the Food Garden at top floor of Gardens mall. 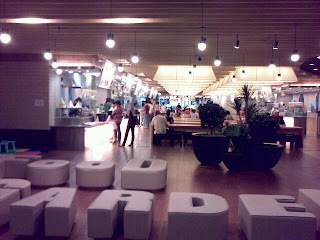 We decided to be more prudent in spending so we headed for this nice food court which seemed to be new and well maintained. While looking around and deciding whether to stay or not, we chanced upon an Iranian place which served kebab and other Iranian specialties which looked good ! The owner was there to entertain and answer questions. After a quick walk around the place we surveyed all choices and went back to try some Iranian food. Suddenly I had this craving for kebab and mediterranean food so it was very, very appealing! We ordered 2 dishes, one lamb (which is their top seller and in the menu it's the one numbered as #1). Plus a shawarma wrap which had chicken inside and came with fries. Both entries cost a total rm30. This is not your typical el-cheapo food court. The quality was very good! 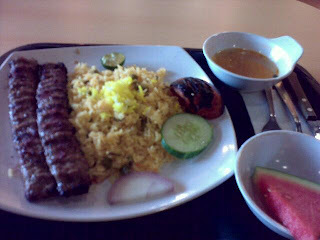 I munched down the lamb with rice and was so so satisfied. 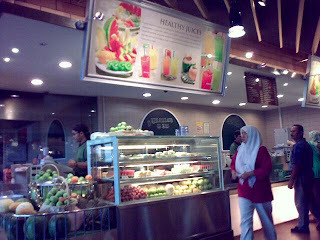 We also took some fruit juice from the fellow fruit stall which cost rm 8 for both the fresh apple juice and honey dew juice. 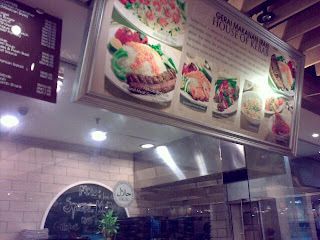 Overall it's an affordable lunch at Gardens mall. Usually the restaurant visits around here will cost u at least rm 60 and above (from my experience). There are a lot of nice local food with prices even cheaper than the affordable - not far away from Mont Kiara provided you know how to get there. a) Butter crab at PJ Seafood, near the Tropicana. Wow thanks for the info. I love to have crabs once in a while. Some people told me about the one in PJ which is fatty crab... Hubby and I tried it. We were not too fascinated by the sauce they had... though the chicken wings were good. I am still looking for a nice crab place and your butter crab sounds good! Oh, the Ming Tien Food Court is just behind the Fatty Crab. There is a hawker stall selling crab too. 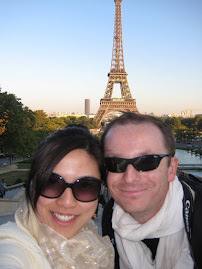 Actually, at Plaza Damas, there are a few eating places too. 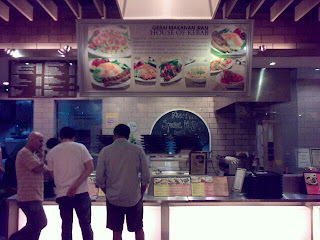 Go to Hartamas Shopping Centre, exit from the entrance at TGI and Starbuck, immediately you will find a Mamak stall. The Mee Rebus there is nice. Opposite, there is a HK restraunt (not bad but pricing). Then, there is also a bakery shop serving breakfast... all are nice. I usually bring my family then once a month.